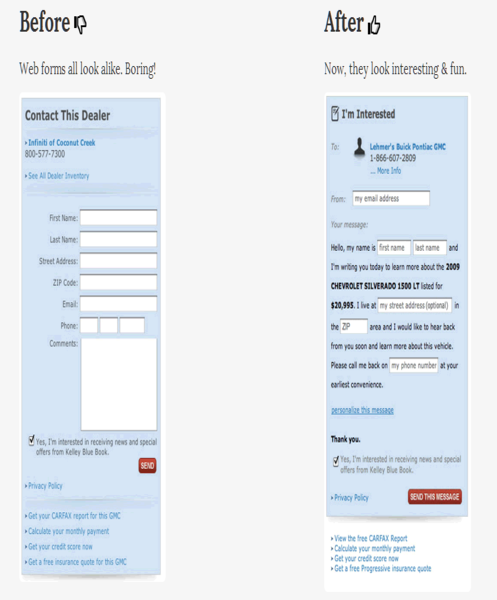 There were times when web forms were so ugly, nobody wanted to fill a form or even see one. 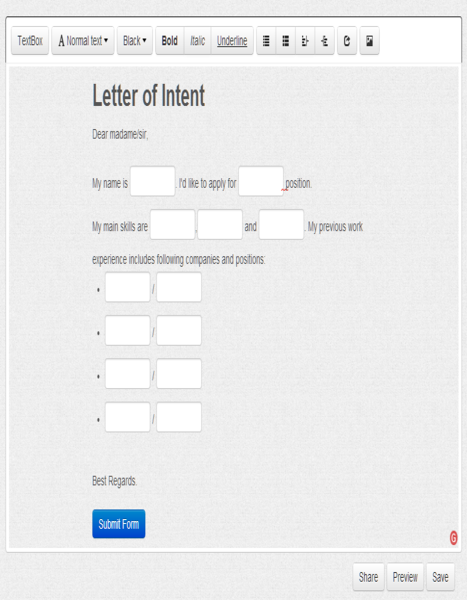 In time, forms started to improve in design and functionality. Now, all web forms look alike. It is time for a change! It's time for a different approach on web forms. We want to make form filling a fun activity for your visitors and improve their conversion rate. 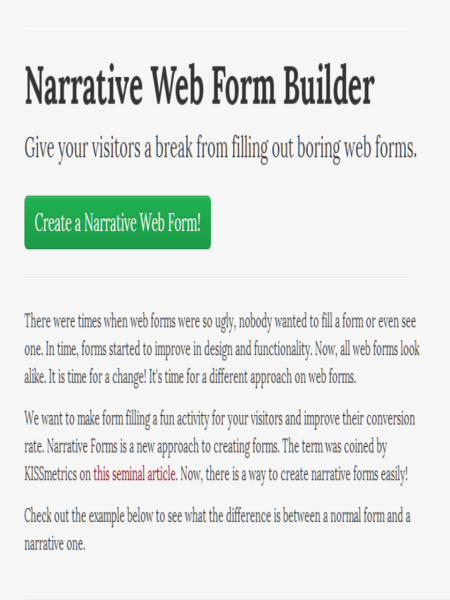 Narrative Forms is a new approach to creating forms. The term was coined by KISSmetrics on this seminal article. Now, there is a way to create narrative forms easily! Check out the example below to see what the difference is between a normal form and a narrative one. Good idea, however, the application needs to be refined a bit in order to offer more input choices. I am not sure how to actually use the form created. And this does need more input choices.